From 2008. to 2012. 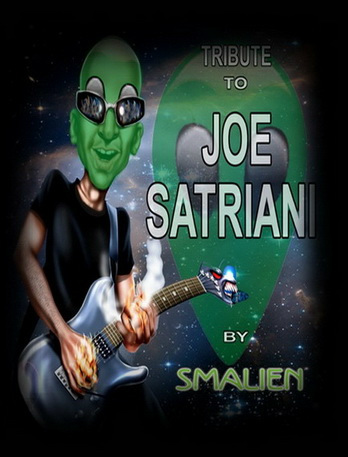 I have been playing in Belgrade (Serbia) based Joe Satriani Tribute band called "Smalien". Band name was derived from words "smiley" and “alien”. Due the fact it was hard to find a drummer for such project, all the drums were programmed and played back from my old faithful mp3 player Zen. I had some great time back then, met some extraordinary people, travelled all around my beautiful country while promoting Joe’s strange, not of this world, beautiful music.